‘Tis the Season to be Chic! Join us on November 6 from 10am-3pm for a fashionable holiday shopping experience downtown at The Phoenix (812 Race St.). This holiday shopping event will bring all the greatest local boutiques and vendors – for women, men, children and pets – all under one roof! One canned good, which will be donated to the Freestore Foodbank, is the admission "fee." The first 100 attendees will receive a swag bag* (valued at $300+) and at noon, 100 more swag bags will be distributed to attendees. Also enjoy complimentary Frisch’s pie tastings, a free brunch ‘n’ learn, fashion shows at 11:30am and 2:30pm, and gift wrapping! Elizabeth’s Closet~Baubles, Bling & More! Brought to you by Cincy Chic, an online publication for women in Greater Cincinnati, and Locals on Living an affiliate of the Cincinnati.Com network. Fischer Homes is giving away FOUR Kitchenaide mixers to celebrate our Seasonably Chic Showcase! Click here to see how you can win! This program is a joint partnership to help Susan G. Komen in the fight against breast cancer. We’ve kept it simple – the more you spend the more we give. Present the card every time you dine with Stone Creek, and a percentage of the sale is donated on your behalf (up to 10%). That’s it! 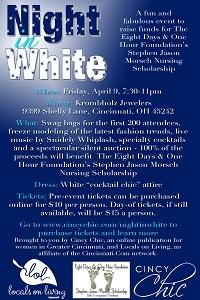 Just subscribe to Cincy Chic , get the card in the mail, eat at a Stone Creek restaurant and help in finding the cure. Together we will make a difference. Rewards points will be calculated at the point of sale. There is no cash value associated with the card; if is for data gathering only. This data will not be sold or shared with a third party. For point balance, please present this card at one of our participating locations. The card is the property of the issuer. The card has no point value until activated at a participating Cunningham Restaurant Group restaurant. Why: Celebrate the spirit of the modern woman and discover your own freedom of expression. 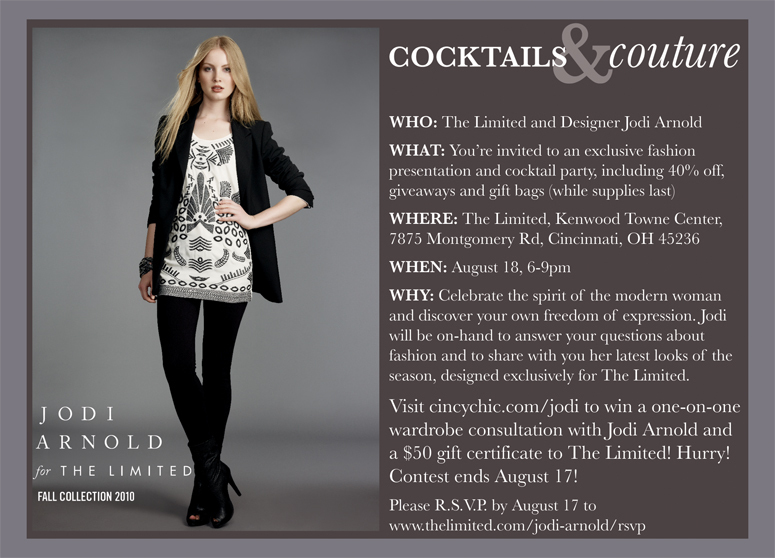 Jodi will be on-hand to answer your questions about fashion and to share with you her latest looks of the season, designed exclusively for The Limited. Congrats to Lindsay Chambers who earned nearly 7,000 votes! What: Swag bags (sponsored by Endres Gateway Dentistry) valued at $500, freeze modeling of the latest fashion trends from obsess boutique and hair styles by Statements Salon, live music by Snidely Whiplash, desserts from Haute Chocolate, specialty cocktails and complimentary hors d’ouvres provided by the Stone Creek Dining Company. Also enjoy spectacular raffles (win diamonds valued at $30-$5,000!) and a silent auction where 100% of the proceeds will benefit The Eight Days & One Hour Foundation’s Stephen Jason Morsch Nursing Scholarship. Dress: "Cocktail chic" attire. Try to incorporate something white into your outfit! Tickets: SOLD OUT! Thank you for all your support! Brought to you by Cincy Chic, an online publication for women in Greater Cincinnati, and Locals on Living, an affiliate of the Cincinnati.Com network. Click here and enter to win six years of free teeth whitening with Dr. Endres! Click here to learn more about The Eight Days & One Hour Foundation’s Stephen Jason Morsch Nursing Scholarship. 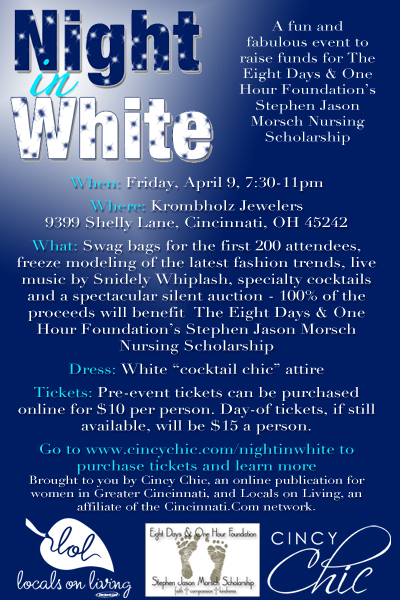 Check out the video below to see a sneak peek of the Night in White fashion show on Fox19 Morning Show! All proceeds to benefit Susan G. Komen For the Cure. Price includes swag bag valued at $100! Lunch and Learn Presenters: Click here to download the lunch protocol document. Arrive: Approximately 20 minutes prior to your presentation. Literature: If you plan to distribute literature at your event, please have this information pre-assembled and ready to distribute. Presentations: Your event is from 5-8pm. You may structure the presentation however you like. Audio Visual: If you will be using a power point presentation: Please bring the laptop that you have run the presentation on previously to the venue. The venue will be equipped for this purpose. It is not required that you use this method of presentation. We have had excellent verbal presentations, and often find that they are more engaging. Giveaways: If you are planning a giveaway, please let us know prior to your presentation. It is always fun to have some type of give away, however, it is not required. We will handle drawing a name or two for you during the presentation, and had it to you to announce. Some previous giveaways: Free consultation, free certificate of some sort, or a Branded item for the company such as bag, etc. Hours: 1-5p.m. Vendor set-up will begin at 10a.m. What you will need: A Table or piece of furniture will be provided for your display. We are requesting that you please bring any table covering (Most tables will be 6ft) you may bring a table top sign or covering with company logo on it. You will not be permitted to hang items on the walls. There will be at least 2 chairs provided per table (Except in the screening room). If you need additional seating please feel free to bring that. 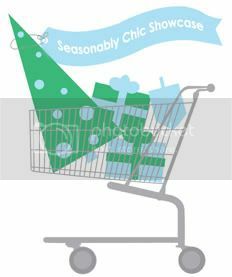 Click here to view overview of requests/needs we have documented for all Health for Hip Chicks vendors. Admittance: There will be a table for registration at the front door. Please identify your workers with a name tag available at the front door. We will admit 2 persons per company unless notified otherwise. Food and Drinks: Will be available for purchase at a reasonable cost from Upper Crust Catering. There is no refrigeration available to the public. Breakdown: We would ask that you breakdown your table and place it in the lower lounge area along with your chairs, before you leave. Fashion Show Vendors: Official Fashion show times are 7-10p.m. We are permitted to be on the Bridge from 12noon to 12a.m. Click here to view the landing layout. Guidelines: We will have a table and two chairs per vendor delivered to the Bridge Saturday morning. If you would like additional tables and chairs, please feel free to bring them. You will be permitted to pull up to the loading area at the Third Street Side in Newport Kentucky to unload. There will be an event on the river called Paddlefest that is to end around 12:30 in the afternoon. There will also be a presentation on the bridge for Breast Cancer victims around 1p.m. with a State Representative from Kentucky. I would prefer that you not interrupt her presentation with set-up. Therefore, it is my recommendation that set-up begin around 2 pm. If you need a tent or other cover—please bring that as well. We are permitted for the Purple People Bridge and landing area only. Please contain your sales and booth activities to the landing. Your booth on the landing is however open to the public to maximize your exposure and potential for sales. Electric: There will be some limited electric available. Please be prepared to use extension cords and power strips if necessary. You will need to provide those. Please do not use this resource if not necessary. Cash Cab: We will ask participants health-related trivia questions upon entry in the Cash Cab. Participants will pay a donation (of their choice) and can win random prizes if they answer correctly! Raffles: Raffle tickets will be sold at all lunch ‘n’ learns, the expo and the fashion show from 7-9pm. After the fashion show concludes, the winners will be selected (they do not need to be present to win), sponsors will be thanked and final annoucements will be made. Additional thoughts: Each vendor is responsible for the safety of their items as well as money etc. You will be asked to make sure that your booth is manned at all times once you set up. Cincy Chic is not responsible for any lost or stolen items. Breakdown: The event ends at 10:00pm, and we request that you each fold your table and chairs and return them to a designated area. There are additional costs involved if we do not handle the breakdown ourselves. After party: Free motorcoach transportation will be provided from the fashion show to Havana Martini Club, where the after party will take place. At 11:30, the raffle winners will be selected (two winners: a salon/spa makeover and BMW lease). They must be present to win. Havana: Attendees will be wearing red, pink, blue and yellow bracelets for their free cover. Questions: You may contact our planner, Lisa Ruberg at lruberg@cincychic.com, or call her cell 513 658-0887. We also have an assistant Jenny Alban, jalban@cincychic.com, her # 513 497-1362. What: Ladies, bring a single guy friend (who’s not perfect for you, but you’d recommend to others), wear what you would on a first date, and get ready to mingle! The event is free to get in, but if you want to be a VIP at this event, see below for the VIP packages you can purchase for your very important group of single somebodies! VIP reservation includes bottomless sangria, light appetizers and a seating section for you and your guests. Contact info@cincychic.com with any questions.